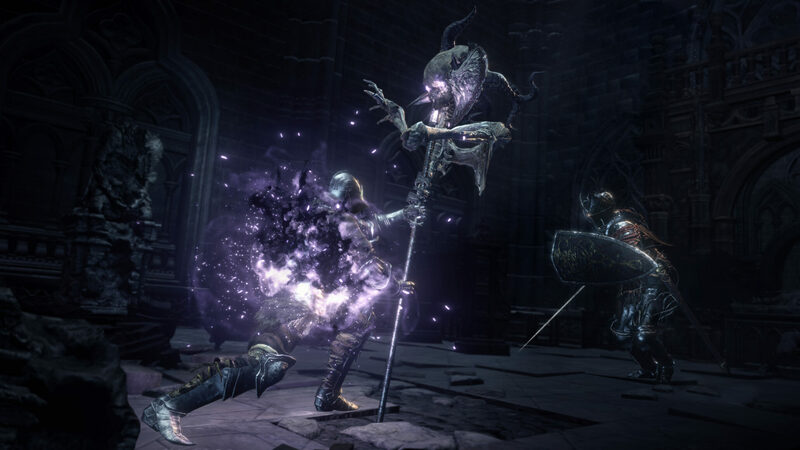 The second and final DLC expansion for Dark Souls 3, the action role-playing game developed by From Software, is going to release soon, and some of the content that it will introduce to the game is going to be shown in less than a week. On its official Twitter profile, publisher Bandai Namco confirmed that a Dark Souls 3 The Ringed City livestream will be aired on March 15th at 4 PM PST. During the livestream, which will also feature special guests and giveaways, the publisher will show new PvP content such as new arenas, new weapons, and magic as well as single player gameplay. Yesterday, a new batch of Dark Souls 3 The Ringed City screenshots has been made available, showcasing some of the locations players will have to explore and enemies they will have to fight. The Ringed City is said to be at World’s End, so we should expect its dangers to be almost otherworldly.